Question: I have a friend with a mold allergy. He takes medication (I don't know what kind) that has a lot of undesirable side effects. Is there an alternative for him? Allergies are normally the result of a weakened immune system. Many authorities on the matter may argue that the immune system is overactive. In any case, the immune system is imbalanced. There are many remedies that help to build a strong and balanced immune system. When the immune system is strong and healthy, allergies can no longer be a bother. Prescription and over the counter antihistamines may have many undesirable side effects as you mentioned, the main one being drowsiness. Other medications available include decongestants which have many side effects: anxiety, dry mouth, rebound congestion, insomnia and aggravation of high blood pressure are the main ones. 1. Vitamin C and bioflavonoids1 have been known to reduce allergic symptoms - specifically the bioflavonoid quercetin which is available in capsule form in most health food stores.2 Herbal and food sources of vitamin C and bioflavonoids: rosehips, cayenne, elderberry, acerola. In nature, vitamin C and bioflavonoids do not have to be taken separately. They naturally occur together in the same plant. 2. Cayenne is a great food to incorporate into your daily food plan, since, next to rosehips, it is the highest food source of vitamin C. Also available are cayenne tinctures which are very convenient to take. When taking cayenne as a daily tonic herb, make sure you start with small amounts at first and only increase the amount as tolerated. Cayenne is not suggested for those who have problems with colitis or other types of chronic diarrhea. 3. 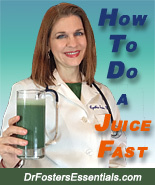 Use a Green formula containing algae. A green formula contains greens such as spirulina, chlorella, alfalfa, wheat grass, barley grass, kamut, oat grass, Dunaliella, etc. There are many green formulas available in your local health food store. The formula I use is called Essential Nutrients. In addition to supplying vitamin C through rosehips, it also supplies many essential trace minerals and essential amino acids. Research studies have shown algaes such as sprulina and chlorella to have potent immune-strengthening effects.3 In addition, algaes may have a noticeable anti-allergic effect.4 I've watched many an allergic attack stop within minutes of consuming this formula. 4. Use immune-balancing essential oils. The essential oil of blue tansy has been found by many people to dramatically lessen or stop many allergic and asthma attacks within minutes. You use only one drop of this oil at a time rubbed onto the bottoms of the feet. Other essential oils helpful for many people are spikenard, lavender, or eucalyptus. 5. 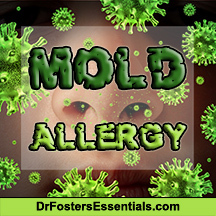 In many cases of mold allergy, there is a hypersensitivity to mold due to a condition of excessive Candida yeast in the body. 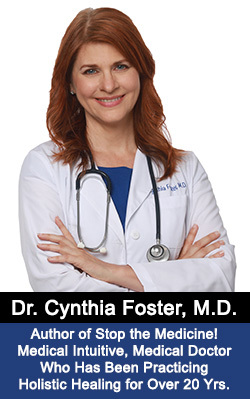 Candida is a naturally-occuring organism in the body; however, when the immune system is weak, the Candida yeast grows out of control and causes many symptoms such as headaches, weakness, and allergies. To combat yeast, I use an herbal formula called AntiParasite combined with an Echinacea Formula. I usually always combine these formula with an intestinal detoxification program (Vibrant Colon Formula and the Colon Detox Caps) to make sure that the Herzheimer reaction (yeast die-off reaction) does not cause unpleasant symptoms. 6. Cleanse the colon: Many times, herbs cannot have an effect on the problem because even though you may do a great detoxification of the blood with blood purifying herbs, the toxin-filled colon keeps feeding toxins back in. For more information about how to cleanse the colon. 7. Aged Garlic extract: 5 can relieve sneezing, teary eyes, runny nose and irritation of the nasal membranes. It can also be taken on a daily basis to keep the immune system strong. Clinically, I find that Kyolic liquid aged garlic extract seems to be the best type of garlic extract to take. It provides the most relief. 9. Make sure the diet contains lots of fresh plant foods. Dairy products and wheat are not only common allergens, but when consumed, tend to aggravate other types of allergies such as hayfever, dust and mold allergies. 10. If you notice mold growing on the walls or ceiling of your home, get it professionally removed right now. Long term exposure to mold, regardless of whether or not an allergy to it exists, may lead to serious respiratory infections, illness, inflammation, and serious asthma attacks. Don't expect herbs to compensate for an environmental toxin. Get yourself out of the toxic environment first. 11. One final point which may or may not apply in your case: never try to force natural remedies on someone who is not interested in them. This frequently makes them angry and defensive, and if they do give in, it will only be temporarily. They may even sneak cigarettes, booze and bad foods behind your back in order to keep up appearances for you. You can point someone in the right direction, and give information, but don't try to force compliance. Health is a choice. It is best to be always respectful of others' personal choices in regards to their own health. Eliminate wheat and dairy products from the diet. Consume a whole foods diet. 1. J Allergy Clin Immunol 1995 Oct;96(4):528-36, Histochemical and functional characteristics of metachromatic cells in the nasal epithelium in allergic rhinitis: studies of nasal scrapings and their dispersed cells. Otsuka H, Inaba M, Fujikura T, Kunitomo M., Department of Otorhinolangology, Nippon Medical School, Dai 2 Hospital, Kanagawa, Japan. 3. Planta Med 2001 Nov;67(8):737-42, Isolation of three high molecular weight polysaccharide preparations with potent immunostimulatory activity from Spirulina platensis, aphanizomenon flos-aquae and Chlorella pyrenoidosa. Pugh N, Ross SA, ElSohly HN, ElSohly MA, Pasco DS. Department of Pharmacognosy, School of Pharmacy, University of Mississippi, University, Mississippi 38677, USA. 4. In Vivo 1994 Mar-Apr;8(2):251-7, Autoimmune disease and allergy are controlled by vitamin C treatment. Kodama M, Kodama T, Murakami M, Kodama M. Kodama Research Institute of Preventive Medicine, Nagoya, Japan.